Searching for a counsellor can be a daunting experience, you may have had previous experience or be completely new to therapy. Either way looking for someone to share your difficulties with is an important choice. As a counsellor I provide a service in which clients feel supported and important from their first point of contact. Counselling does not have to be daunting. 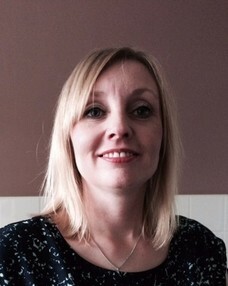 I qualified as a Person Centred Counsellor in 2010 and have over 9 years experience as a Counsellor. Since beginning my training I have worked in different counselling organisations and charities, offering both individual and group support. In 2017 I decided to begin my own private practice in Northwich, Cheshire. Now I offer both short and long term counselling sessions to adults and young people and can provide support for a variety of issues. Once you get in touch I will arrange your first appointment and I am happy to speak to you first to answer any questions or concerns you may have. Appointments are available in the daytime and evening. Our first appointment together will last for one hour. This extra time allows us to discuss our expectations and requirements for counselling and also to answer any questions you may have. I provide all new clients with a copy of my counselling agreement for their information. Subsequent appointments last for 50 minutes and are flexible to your needs whether they are weekly, fortnightly or less often. Counselling will give you the space to explore whatever may be troubling you and as I am Person-Centred the content of each session is left to you-the client. I do not have an agenda for each session-I will adapt what I know to help you become the person you want to be. If you would like any further information then please get in touch or visit my website and social media pages.